Beverly Hills, California ​– Join wineLA at the Peninsula Beverly Hills for ​STARS of Napa Valley Wine on March 13th, 2019​. 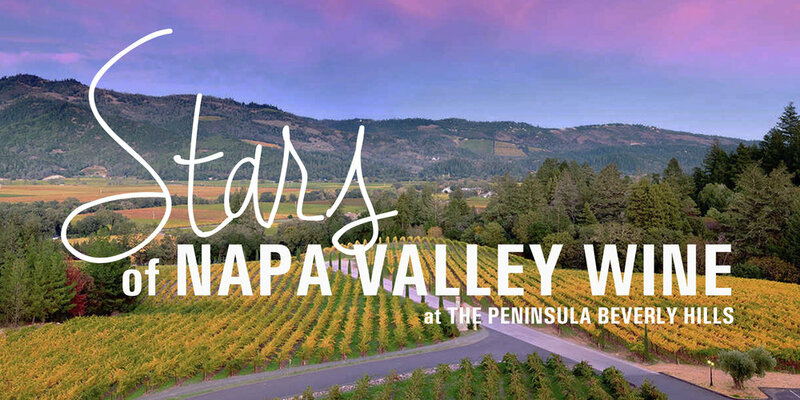 Come taste alongside approximately 30 of the Napa Valley’s finest wineries! Did you know that Napa Valley produces 4% of our wine in California, but 30% of our total wine dollars?! Napa Vintners hold a very special place on the world stage and they are coming to Los Angeles in full force!! All grape varietals will be showcased! Napa gives us not only some of the best wine, but also some of the greatest diversity in varietal and style! The Peninsula Beverly Hills will expect to welcome hundreds of wine enthusiasts to meet the winemakers and celebrate Napa Valley’s most coveted wines. Among the elite list of wineries showcasing their most popular pours are: 1849 Wine, Alpha Omega, Barnett Vineyards, Bouchaine Vineyards, Hertelendy Vineyards, Venge Vineyards, Frank Family Vineyards, Hesperian Wines, Kale Wines, Michael Mondavi Family Estate, Miner Family Winery, O’Connell Family, Teachworth Napa Valley, TOR, Trinitas Cellars, VGS Chateau Potelle, Yount Ridge Cellars, Emerson Brown Wines, Staglin Family Vineyard, Burgess Cellars, Newton Vineyard, Hestan Vineyard, Cliff Family Winery + many more! In addition to the wineries confirmed to attend wineLA’s annual STARS of Napa Valley Wine event, tickets will include an elegant assortment of tray-passed hors d’oeuvres, and a number of lofty auction items to bid on with 100% of the auction revenue donated to The T.J. Martell Foundation, funding children’s cancer research at Children’s Hospital Los Angeles. Master of Wine Dinner with TOR Wines hosted by Matt Deller M.W. 5:30PM VIP+ tickets can be purchased for $250. ​VIP admission begins at 6PM: ​Advanced tickets for the VIP experience may be purchased for $175 per person and will be ​$225 a​ t the door. The VIP experience features an Older Vintage Tasting, dinner buffet & gift bag. G​ eneral admission begins at 7PM: A​ dvanced tickets are $​ 95 and will sold for ​$125 at​ the door. General Admission includes the unlimited wine tasting alongside tray-passed appetizers, silent auction, and cheese and dessert after party. wineLA is about enhancing the wine culture of Los Angeles one event at a time. To do so, wine must be in rhythm with food, fashion, and music, while also reflecting the geography, architecture and atmosphere of centers of interest. Los Angeles is a giant playground with an amazing array of venues, spaces, wine bars, restaurants, beaches, rooftops, gardens, and magical views. We are a part of the LA lifestyle, the wine lifestyle, and we celebrate the people, the places and the passion! wineLA has partnered with the Napa Valley Vintners to present THE BEST IN THE BUSINESS! All grape varietals will be showcased; From Bubbles to Sauvignon Blanc and Chardonnay and red wines that run the gamut such as: Merlot, Cabernet, Petite Verdot, Zinfandel, Meritage Blends and Rhone varietals such as Syrah and Grenache – Napa offers not only some of the best of California, but also some of the greatest diversity. A silent auction containing many collectable and large format wines 100% benefits The TJ Martell Foundation, the music industry’s largest foundation funding innovative medical research focused on finding cures for children’s leukemia, cancer and AIDS. The Foundation sources and supports early-stage research projects aimed at developing more effective clinical treatments for patients who otherwise might not be supported. Learn more at tjmartell.org​. The only AAA Five Diamond and Forbes Five Star-rated hotel in Southern California every year since 1993, The Peninsula Beverly Hills offers 194 guest rooms, including 38 suites and 16 private villas, nestled among lush tropical gardens in the heart of Beverly Hills. The Peninsula is located at the intersection of Wilshire and South Santa Monica Boulevards and within comfortable walking distance from the legendary Rodeo Drive. West Hollywood, Calif. – WineLA, Petrossian Beverly Hills, and Leica Store & Gallery join together to host Los Angeles Rosé & Bubbles Festival on Saturday, August 25, 2018 at Leica Store & Gallery. Rose is more than just a summer-time treat, it’s a year round excuse to smile! Champagne & bubbles of the world will be poured alongside a healthy selection of Roses – as wineLA presents its 2nd annual Los Angeles Rosé & Bubbles Festival. 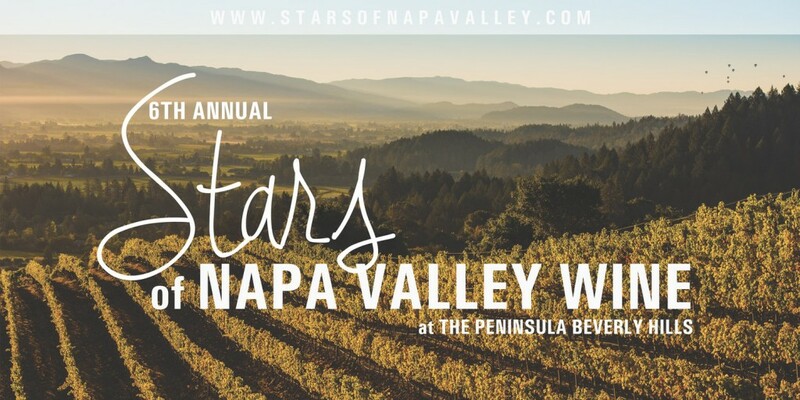 Come say “yes way” Rosé to a star-studded list of wineries set to pour including: Balleto Vineyards, Champagne Jacquart, Barnard Griffin Winery, Coeur Clémentine, Maisons Marques and Domaines, Domaines Ott, Louis Roederer Champagne, Scharffenberger, Fleur De L’amaurigue, The 50×50, Breathless Sparkling wines, and many more. In addition to unlimited tastings the wineries confirmed to attend the event admission includes Petrossian Beverly Hills service and gourmet hors d’oeuvres; Silent auction that benefiting the T.J Martell Charity for Children’s Hospital Los Angeles. Night time VIP guests will have a chance to have a sit down dinner with special guest Rose and Champagne producers for an intimate high tier “reserve cuvee” session. Guests will also have an opportunity to purchase wines from a retail partner… and VIP guests will not be leaving empty handed! All VIP guests will receive a VIP gift bag stuffed with items provided by Los Angeles Magazine and great local partners. The daytime event is open to local press and wine buyers at 1:00 p.m with General Admission opening at 2pm for the consumer… the daytime tasting ends at 4pm (this session is on sale for $49 now and will be $75 at the door). The nighttime event will begin at 7PM, with advanced tickets being sold for $85 per person. There are also a limited number of VIP admission tickets, that includes the VIP dinner with Petrossian and a set of producers TBA. wineLA is about enhancing the wine culture of Los Angeles. To do so, wine must be in rhythm with fashion, music, food and other beverages. It must take advantage of the geography, the architecture and the centers of interest. Los Angeles is a giant playground with an amazing array of venues, spaces, wine bars, restaurants, beaches, rooftops, gardens, and magical views. We want to be a part of the LA lifestyle, the wine lifestyle, and celebrate the people, the place and the passion.wineLA will promote significant events, occasional classes, and tastings of merit. This is phase two of what we started 20 years ago at LearnAboutWine.com – America’s first wine education website and first in wine event creation. LearnAboutWine will now evolve onto a digital platform; the transformation will take some time; so we will slowly rebrand our event efforts onto wineLA, reduce the number of activities we focus on, and elevate our efforts to focus on the next big thing… Doing what is best for the wine industry and the communities we serve. Edicts: innovate, evolve and excite. You may ask…why does Zinfandel need to be “elevated”? It wasn’t that long ago that Zinfandel was thought of either as a sweet pink wine made for mass consumption or as a highly alcoholic monster meant to get you where you want to go as quickly as possible. Neither version was taken very seriously. But in more recent years, Zinfandel has been produced as a serious wine, producing wines equal to or better than those made from the historically “noble grapes”. With wonderful wines made in a variety of styles, Zinfandel has certainly found its place in the wine world, which makes this “zin fan” very happy. Still, there is some prejudice, as was evidenced by a seminar I attended several months ago wherein the speaker, discussing the wines coming from a particular region, expressed delight over the reduced reliance on Zinfandel, the clear message, at least to me, was to imply that it was of lesser quality. As I mentioned above, Zinfandel wines can vary quite a bit, due to terroir, winemaker decisions both in the vineyard and the winery, as well as whether the wine is 100% Zinfandel versus including other varieties. My own observation is that Zinfandel vineyards, perhaps more so than those planted with other grapes, tend to be inter-planted with other varietals, especially when looking at the historic vineyards that were planted several decades ago. This is all a build-up to an annual event that is very near and dear to my heart, WineLA’s annual Elevating Zinfandel tasting, this year held at the Montage in Beverly Hills. Karen and I had the pleasure of attending. Each winery had a winery representative [winemaker or owner in most cases] pouring multiple wines, including special selections for VIP attendees. Bedrock Wine Co. – This winery is on our must-have list for our personal cellar. It was fun to taste the 2012 Bedrock Heritage Wine against the 2016 Bedrock Heritage Wine. This is one of those field blends I was referring to above, with the Bedrock vineyard actually planted to 27 varieties, about 50% being Zinfandel. Beekeeper Cellars – This is WineLA’s own Ian Blackburn’s winery. But, I don’t have to say I liked it if I didn’t. And I did, especially the 2015 Secret Stones from Rockpile. Rockpile is one of my favorite AVAs for Zinfandel, so no big surprise here. Kreck Wines – A brand new winery based in Healdsburg. Both the 2016 Teldeschi Vineyard (Dry Creek Valley) and the Del Barba Vineyard (Contra Costa County) were excellent. Tiny production, so don’t snooze on this one. Lamborn Family Vineyards – Napa Valley Zins are getting rare [the money’s in Cabernet] and Howell Mountain Zinfandel are perhaps even rarer. Lamborn does a great job and the 2010 Middle-Aged Vine bottling showed what a little bottle age on a Zin can do – good stuff! Mauritson Wines – Speaking of Rockpile [see above], Clay Mauritson’s family has been a big part of pioneering the area. The 2015 Black Sheep from Rockpile was a great example. Robert Biale Vineyards – another rare Napa Zinfandel specialist. Winemaker Tres Goetting continues to shine; the signature Black Chicken did it for me. Rock Wall Wine Company – it had been a few years since we last saw Shauna Rosenblum and if anything her wines have just gotten better. Hard to pick a favorite here, but if pressed I’d go with the 2016 Alegria Vineyard from the Russian River Valley. Turley Wine Cellars – Another winery that will always have a place in our cellar, Turley has possibly done more than any other winery to “elevate” Zinfandel. Christina Turley poured four different wines, but I have to give props to the 2016 Dusi Vineyard. Not only was this the only Zin from Paso Robles being poured, but it is typically our favorite of the Turley lineup. Williams Selyem – Most people think of Pinot Noir when they think of this winery. But winemaker Mark Malpiede also makes great Zinfandel. Especially liked the 2016 Papera Vineyard [Russian River Valley]. As usual, we didn’t taste everything. If we had, we would have had more favorites, I’m sure. Check out www.winela.com for other great events from WineLA. Beverly Hills, Calif. – Pinot Noir has been a very important grape since the ROMAN era. In fact, Pinot Noir has two times as many acres/hectares planted in France than it does in California, even though Pinot has been in a huge growth mode for almost 20 years! To honor this majestic grape, WineLA is thrilled to present our 4th annual STARS of Pinot event on Wednesday, July 11, 2018 at The Montage Beverly Hills. With over 40 top Pinot Producers set to participate, WineLA invites you to join us and taste over 100 different wines at this annual gathering. The Montage Beverly Hills expects to welcome hundreds of wine enthusiasts to meet the makers and celebrate the best Pinots’ from many of world’s top producers. Wineries set to participate: Clos Pepe Estate, Croix, Kanzler Family Vineyard, King Estate, Iris, Mail Road Wines, McIntyre Vineyards, Tolosa, Wrath, J Vineyards and Winery, Fess Parker Winery and Vineyard, Willamette Valley Vineyards, Bernardus, Hyde Vineyards, Old Bridge Cellars, Robert Talbott Vineyards, Hartford Family Winery, Alma Rosa Winery and Vineyards, The 50 by 50, Bouchaine Napa Valley + Carneros, Roadhouse Winery, WeatherBorne Wine Corp, Artesa Napa Valley, Carmel Road, Russian River, Sonoma Coast, Oregon, Burgundy and yes, Champagne is anticipated to be there! (more brands joining daily). All guests will be able to participate to bid on wines and collectables during our silent auction, benefiting the T.J Martell FOUNDATION for Children’s Hospital Los Angeles. The event will begin at 6PM for VIP DINNER TICKETS (Advance tickets for the VIP experience may be purchased for $150; price increases as sell out approaches, remaining tickets will be $200 at the door). 6PM entry grants a delicious VIP PINOT PANEL Dinner and a beautiful Los Angeles Magazine gift bag lined with artisan products and thank you gifts. There are a limited number of VIP (6 p.m. admission tickets). 7 p.m. doors open for General Admission. Advanced tickets may be purchased for less than $80 per person with day of tickets (if available) at $95. The VIP PINOT PANEL DINNER – Hosted by Master of Wine, Jennifer Simonetti-Bryan (the most famous MW in the world)! This VIP panel dinner gives you a chance to enjoy a great MONTAGE dinner and drink a special set of VIP wines served with the discussion at the panel. The Winemakers debate and discuss various topics and the audience is typically filled with wines most enthusiastic. Panelists’ Include: Jeff Stewart of Hartford Family winery (SONOMA); Richard Sanford of Alma Rosa winery (SANTA BARBARA); David Coventry of Robert Talbott Vineyard (CARMEL/MONTEREY); Brandon Sparks of Dragonette (SANTA BARBARA); and Jay Somers of J.Christopher (OREGON). Come and meet with the who’s who of Pinot Noir while enjoying unlimited wine tasting, great MONTAGE tray passed appetizers and a wonderful audience. WineLA welcomes wine fans of all experience levels. WineLA is about enhancing the wine culture of Los Angeles one event at a time. To do so, wine must be in rhythm with fashion, music, food and other beverages. It must take advantage of the geography, the architecture and the centers of interest. Los Angeles is a giant playground with an amazing array of venues, spaces, wine bars, restaurants, beaches, rooftops, gardens, and magical views. We are a part of the LA lifestyle, the wine lifestyle, and celebrate the people, the place and the passion. Beverly Hills, CA – Good News, Zinfandel is growing in popularity! 2017 reports show increased prices and very tight supply! Did you know that Zinfandel is known as California’s heritage grape?! 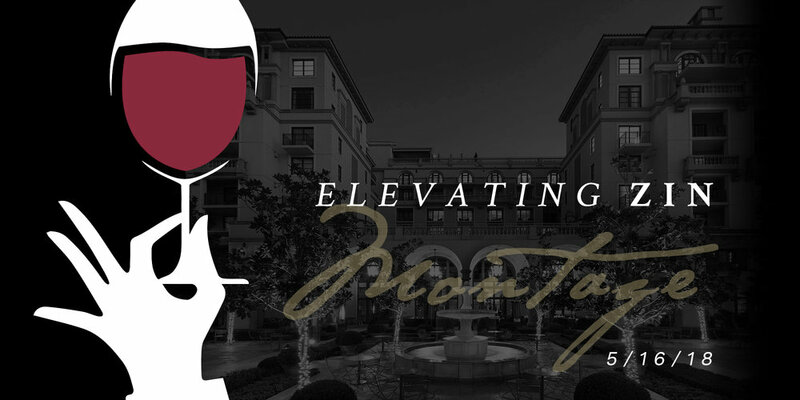 In honor of our heritage grape, Montage Beverly Hills and WineLA join together to host Elevating Zin on May 16th, 2018. Zinfandel is an important and historical crop to California’s wine industry. Growers and Producers agree, the future is about elevating the quality and the reputation of the grape. Zinfandel needs to be considered a fine wine to succeed going forward and now targets those that collect cabernet, meritage, and popular blends. Zinfandel is planted in some of the most valuable soils in Napa, Sonoma, Paso Robles and areas in between. Come and meet the winemakers and namesakes’ for a night of Zin! With over 17 notable wineries set to participate in the festivities, Montage Beverly Hills and WineLA expects to welcome hundreds of wine enthusiasts to celebrate the “Crème de la crème” of the Zinfandel community! Among the wonderful list of wineries showcasing their most popular wine are Winemaker Clay Mauritson pouring Mauritson, Director Stacy Rafanelli pouring A. Rafanelli Winery, Winemaker Bertus Van pouring T-Vine, Owner Christina Turley pouring Turley, Winemaker Tres Goetting pouring Robert Biale Vineyards, Winemaker/Owner Stephanie Cook pouring Wonderment Wines, Winemaker Brian Lamborn pouring Lamborn Family Vineyard, Winemaker Hugh Chappelle pouring Quivira, Director Mike Hendry pouring Hendry, Winemaker Chris Cottrell pouring Bedrock Wine Co., Winemaker Ted Seghesio pouring Seghesio family Vineyards, Winemaker Agostino Gamba pouring Gamba Vineyards and Winery, VP Mark Malpiede pouring Williams Selyum, and lastly Winemaker Ian Blackburn pouring Beekeeper Cellars. The evening VIP event will begin at 6 p.m. This experience includes an intimate tasting hour of older-vintage wines with an amazing list of winemakers and heavy appetizers ($125 advanced and $150 at the door). The 7 P.M. General admission($69-79 advanced and $95 at the door) includes unlimited tasting and tray passed appetizers, as well as, access to the charity silent auction containing lots of collectable and large format wines. Auction will benefit the TJ Martell Foundation and Zinfandel Advocates and Producers (AKA ZAP). Meet with the who’s who of Zinfandel producers while enjoying unlimited wine tasting, great MONTAGE cuisine and a wonderful audience. WineLA welcomes wine fans of all experience levels. Prices subject to change as we approach the event. Beverly Hills, Calif.​ ​–The Peninsula Beverly Hills and WineLA join together to host STARS of Napa Valley ​(​www.STARSofNapaValley.com​)​ on Wednesday, March 14th, 2018​. FACT: Did you know that Napa Valley produces 4% of our wine in California? And 30% of our total wine dollars! Napa is a very special place on the world stage of wine and they are coming to Los Angeles in full force!! Taste along side over 30 of the Napa Valley’s finest wineries! All grape varietals will be showcased; from Cabernet Sauvignon to Napa Valley Bubbles, from to Sauvignon Blanc and Chardonnay and red wines that run the gamut such as: Merlot, Cabernet, Petite Verdot, Pinot Noir, Zinfandel, Meritage Blends and Rhone varietals such as Syrah and Grenache – Napa not only has some of the best wine to offer, but also some of the greatest diversity. The Peninsula Beverly Hills will expect to welcome hundreds of wine enthusiasts to meet the makers and celebrate Napa Valley’s most coveted wines. WineLA is excited to present one of the greatest collection of brands ever assembled for this annual gathering! Among the list of wineries showcasing: Matthiasson, Ladera Vineyards, 1849 Wine Co., Robert Mondavi Winery, Tuck Beckstoffer Wines, Alpha Omega, Barnett Vineyards, Chateau Boswell Winery, Vineyard 29, Somnium Wine, Howell at the Moon Winery and Vineyards, Alder Deutsch Vineyard, Relic Wine Cellars, Baldacci Family Vineyards, S.R. Tonella Cellars, Yount Ridge Cellars, Amizetta Estate, Joseph Phelps, Boeschen Vineyards, Trinitas Cellars, Joseph Carr, Saint Helena Winery, Revana Wine Portfolio, Clif Family Winery, Hesperian Wines, Kenzo Estate, Hertelendy Vineyards, Angwin Estate Vineyards, VGS Chateau Potelle, Dos Lagos Vineyards, and AXR Napa valley, to name a few. In addition to the wineries confirmed to attend wineLA’s annual Tasting Napa Valley event, tickets will include an elegant assortment of tray-passed hors d’oeuvres, and a number of lofty auction items to bid on with 100% of the auction revenue being donated to the T.J. Martell Foundation. VIP admission begins at 6 p.m.​ (Advanced tickets for the VIP experience may be purchased for $149 per person and will be $200 at the door) The VIP experience includes the ​Older Vintage Tasting, Dinner Buffet & VIP Gift Bag​. ​General admission begins at 7PM​ (Advanced tickets are $80 and will sold for $95 at the door) This event is limited to 150 guests and, similar to wineLA’s past wine events, is expected to sell out so tickets at the door may not be available. WineLA is about enhancing the wine culture of Los Angeles one event at a time. To do so, wine must be in rhythm with fashion, music, food and other beverages. It must take advantage of the geography, the architecture and the centers of interest. Los Angeles is a giant playground with an amazing array of venues, spaces, wine bars, restaurants, beaches, roof tops, gardens, and magical views. WineLA is a part LA lifestyle, the wine lifestyle, and celebrate the people, the place and the passion. wineLA hosts significant events, classes, and quality tasting events for regions of the world. This is phase two of what was started 20 years ago at LearnAboutWine.com – America’s first wine education website and first in wine event creation. UPDATED 11/8/17: both Stars of Cabernet and LA Supports Wine Country have merged and will both be held at the Peninsula Hotel on Weds 11/15. They will be held in two separate rooms…but are connected. LOS ANGELES – Mother Nature traveled through the North Coast region of California this past month with tragically historic record setting wildfires exaggerated by 70 mile-an-hour winds. ​Over 8,000 structures have been damaged in the spreading fires and thousands of lives have been changed forever. ​The wine industry, meaning the people that live, work, and farm in the regions are the most important casualty in this natural disaster. It will take a great deal of time and energy to build back what used to be. Donations are going to be needed in every way to help those in need. 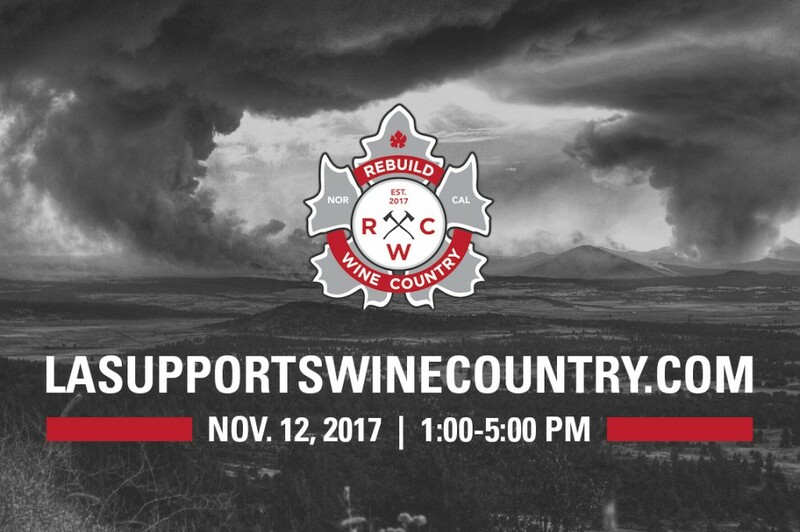 ​To help bring these California communities closer to their fundraising goals, wineLA is putting together a benefit for ​Wildfire Relief supporting ​Habitat for Humanity – going to those that need​ ​it​ ​most​ ​in​ ​Wine​ ​Country.​ ​It​ ​is​ ​time​ ​to​ ​come​ ​together​ ​and​ ​donate​ ​to​ ​our​ ​California​ ​family​ ​in​ ​the​ ​north. The wineLA team is working to put together an event on ​November 12, 2017, which will be open to anyone to come out to help support our efforts. We are looking for volunteers to help bring this event to life so we can reach our​ ​goal​ ​and​ ​grow​ ​the​ ​fund​ ​north​ ​of​ ​1​ ​million​ ​dollars. ABOUT REBUILDING WINE COUNTRY: HABITAT FOR HUMANITY SONOMA: ​Rebuild Wine Country is for long-term giving. Immediate needs are being met by fantastic community non-profit partners already. This fund is about the bigger picture in the weeks, months, and years to come, protecting economic recovery for those without a roof over their head. With these funds, our fiscal sponsor ​Habitat for Humanity of Sonoma County will distribute aid to sister​ ​chapters​ ​in​ ​all​ ​affected​ ​counties​ ​to​ ​repair​ ​and​ ​rebuild​ ​homes​ ​for​ ​those​ ​who​ ​need​ ​it​ ​most. Early entrance – enhanced food experience – top wines – VIP tables – and a stylish VIP tshirt! Special entertainment will​ ​also​ ​be​ ​provided​ ​to​ ​the​ ​VIPS. Walk around tasting event with different food, wine, music in every room. Artworks and donated items on every​ ​table. Participating Wineries: ​Aganjanian Vineyards, Herb of Lamb, ​Dragonette Cellars, Alpha Omega Winery, Beekeeper Cellars, Cakebread Cellars, Clos Pepe Estate Vineyards, Dane Cellars, Donelan Family Wines, Lucky Dogg Wines, Mauritson​ ​Wines,​ ​Moraga​ ​Wines,​ ​Nabor​ ​Wines,​ ​Page​ ​Mill​ ​Winery,​ ​Robert​ ​Craig​ ​Winery,​ ​Windrun. 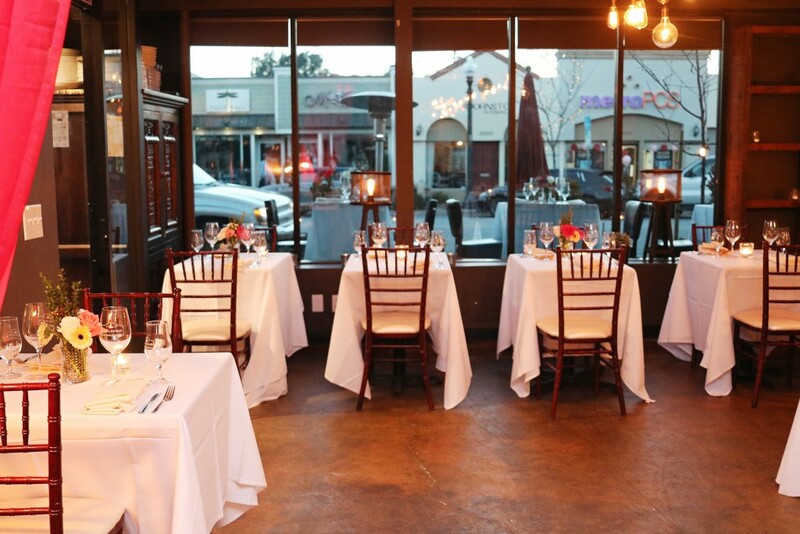 wineLA ​is about enhancing the wine culture of Los Angeles one event at a time. To do so, wine must be in rhythm with fashion, music, food and other beverages. It must take advantage of the geography, the architecture and the centers of interest. Los Angeles is a giant playground with an amazing array of venues, spaces, wine bars, restaurants, beaches, roof tops, gardens, and magical views. We want to be a part of the LA lifestyle, the wine lifestyle,​ ​and​ ​celebrate​ ​the​ ​people,​ ​the​ ​place​ ​and​ ​the​ ​passion. In 2005 – founder Ian Blackburn hosted ​www.LAsupportsLA.com – an event to support victims of Katrina. Over 2500 guests – world famous entertainers – and hundreds of thousands of dollars were raised and donated to two charity entities. The event was seamless – and appeared to take months to prepare… but we accomplished the event in just 8 days… and hundreds of talented and loving individuals came together to make one of the most legendary events of all time take place. This time – we do it for Northern California and the industry we love and depend​ ​upon. West Hollywood, Calif.​ ​ – La Brea Bakery Cafe, Republique, and wineLA join together to host Elevating Zin on ​May 10, 2017​. With fifteen notable wineries set to participate in the festivities, La Brea Bakery Cafe (VIP -7pm and Gold consumer tasting- 6pm) and Republique (Trade tasting sessions- 1:30pm), expect to welcome hundreds of wine enthusiasts to meet the makers and celebrate the “Crème de la crème” of the Zinfandel community! Among the elite list of wineries showcasing their most popular pours are Bedrock Wine Co., Robert Biale Vineyards, Brown Estate, Carol Shelton Wines, Gamba Vineyards and Winery, Hendry, J Dusi Wines, Mauritson, Ottimino, Peter Fraunus Wine Co., Quivira Vineyards, Seghesio Family Vineyards, St. Francis Winery & Vineyards, Turley Wine Cellars and lastly Ian Blackburn’s own Beekeeper Cellars. In addition to the wineries confirmed to attend Elevating Zin, tickets will include not only a wide variety of wines to taste but a large assortment of beautiful appetizers provided by the venues. The VIP event will begin at 6 p.m. with an hour featuring special appetizers and older-vintage wines ($125 advanced and $​150 ​at the door) and will continue at 7 p.m. for regular admission ($69-79 advanced and $95 at the door). This event includes a chance to meet with all the producers while enjoying heavy appetizers,​ ​unlimited wine tasting, and a wonderful audience. Come alone or come with your tasting group. wineLA welcomes wine fans of all experience levels. A silent auction, containing lots of collectable and large format wines will benefit the TJ Martell Foundation. The T.J. Martell Foundation is the music industry’s largest foundation that funds innovative medical research focused on finding cures for leukemia, cancer and AIDS. The Foundation sources and supports early-stage research projects aimed at developing more effective clinical treatments for patients which otherwise might not be funded. Learn more at​ ​tjmartell.org​. wineLA is about enhancing the wine culture of Los Angeles one event at a time. To do so, wine must be in rhythm with fashion, music, food and other beverages. It must take advantage of the geography, the architecture and the centers of interest. Los Angeles is a giant playground with an amazing array of venues, spaces, wine bars, restaurants, beaches, roof tops, gardens, and magical views. We want to be a part of the LA lifestyle, the wine lifestyle, and celebrate the people, the place and the passion. wineLA hosts significant events, classes, and quality tasting events for regions of the world. . This is phase two of what was started 20 years ago at LearnAboutWine.com – America’s first wine education website and first in wine event creation.